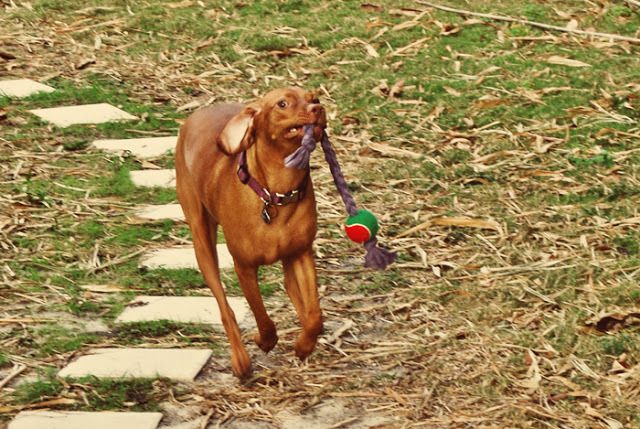 We love our canine pets and for the most part we love playing with them. 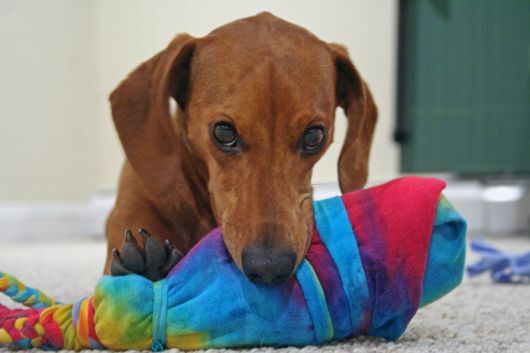 All dogs love to chew and pull; and dog toys provide a great option for letting a dog enjoy himself while shredding their favorite toy. 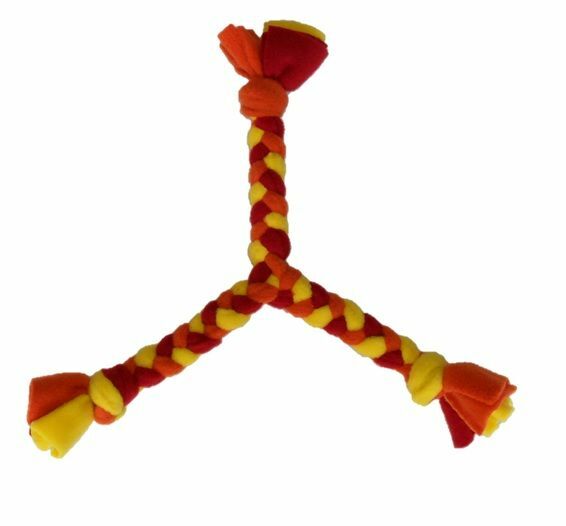 They know we will buy a new one and that is part of the problem with dog toys, they can be very expensive to keep replacing. 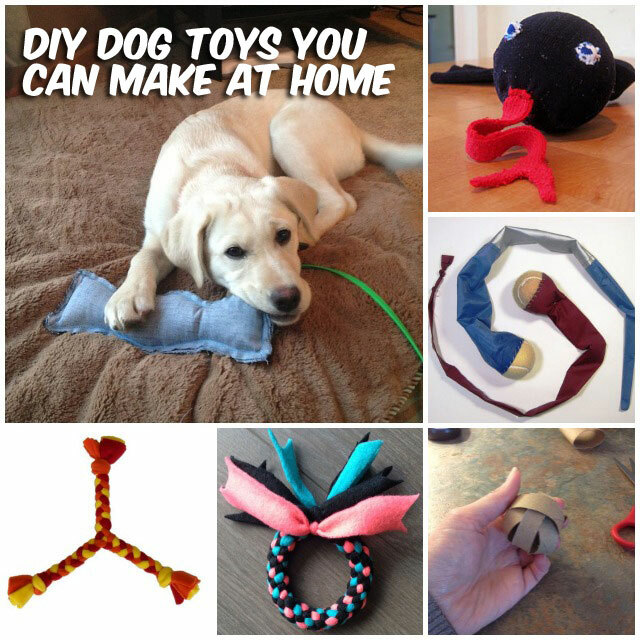 So why not make your own homemade chew toys for your dog? 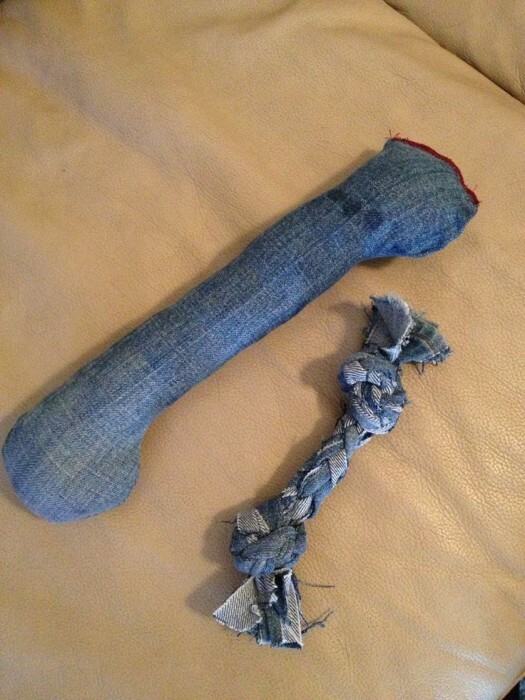 For those of you who are still struggling after this, we’d recommend visiting www.jugdog.co.uk and checking out their list of indestructible dog toys. 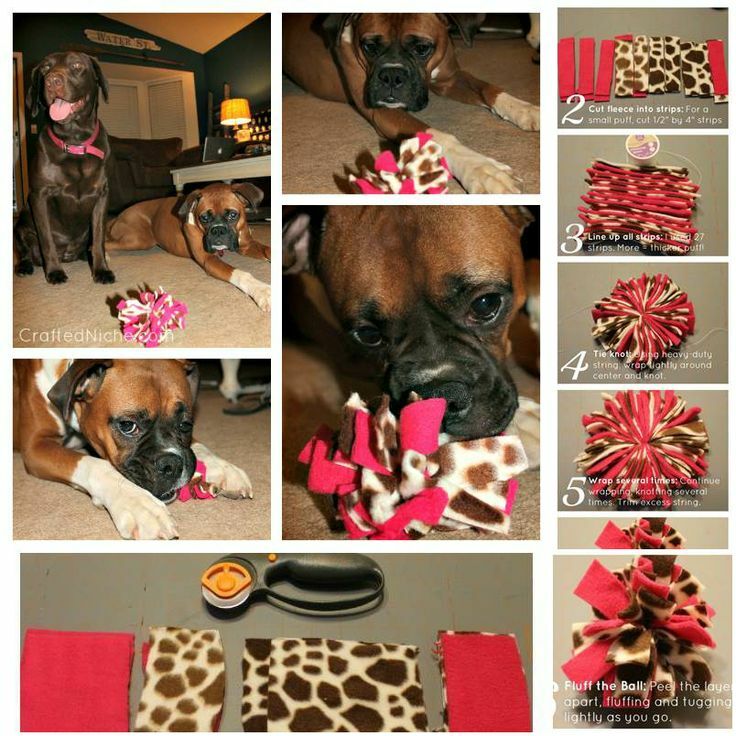 DIY dog toys are cheaper for sure and can be customized for your dog, including size, durability and interactivity. 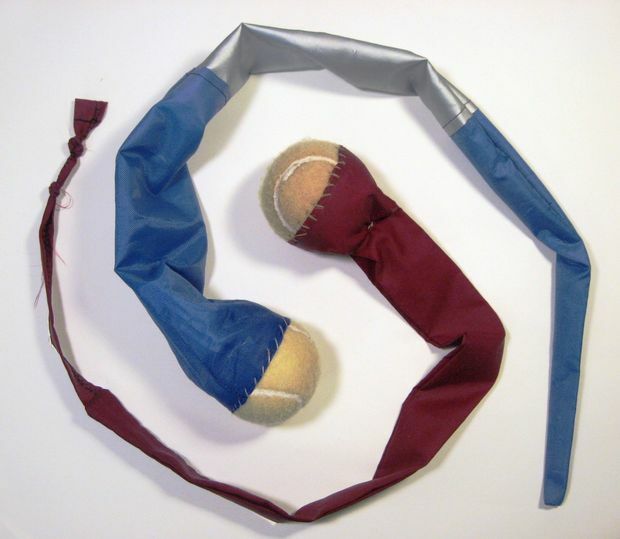 We have included some toys for helping dogs improve their problem-solving skills. 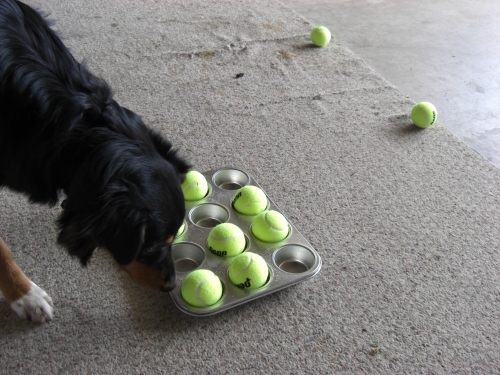 Hmmm…maybe your dog, like mine, is already too smart for their own good though. 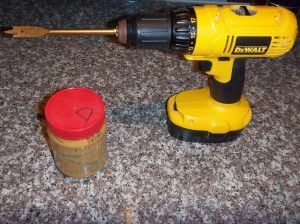 We also made a peanut butter dog treat made at home. Check it out. 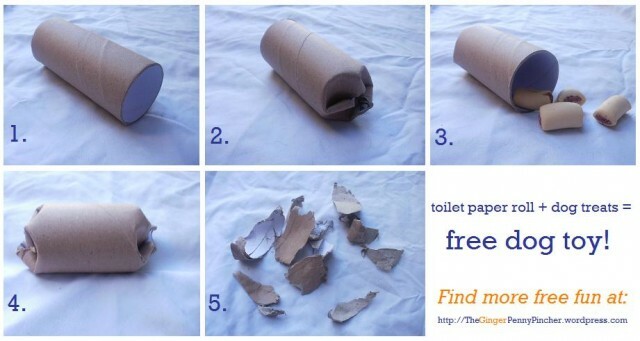 Free dog chew toy using a toilet paper roll! 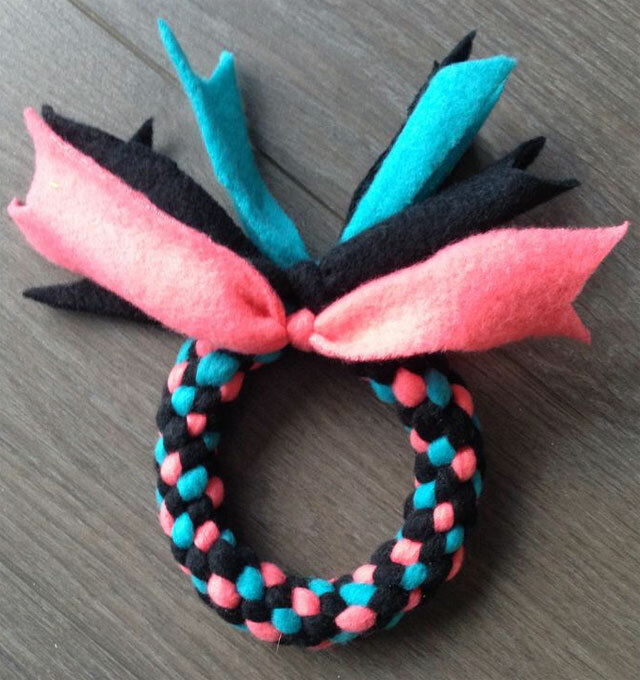 Fleece Braided Rope. 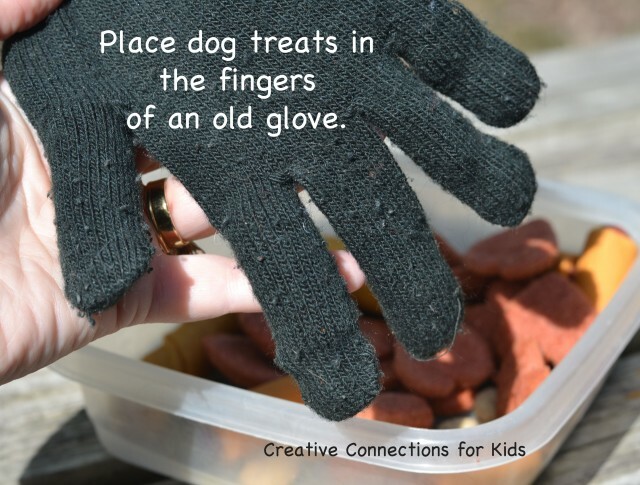 For those of you who have destructive dogs. My dogs usually rip through toys in minutes, leaving cotton everywhere and eating bits of the toys (no good) but finally this toy lasted a month already. 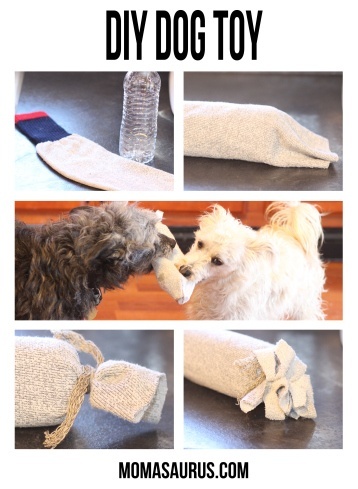 Quick & Easy DIY Dog Toy using just a water bottle, sock & string & the pooches will love it. 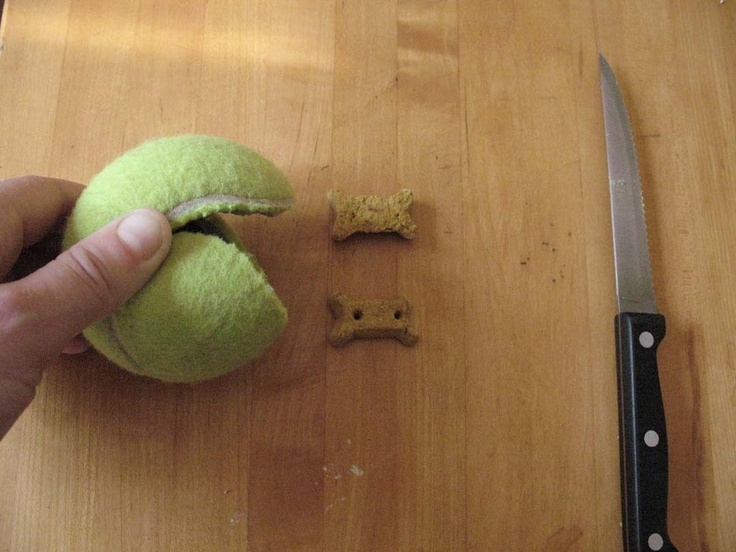 DIY interactive Tennis ball dog toy, tennis ball dog toy, Pair it with homemade biscuits or treats. take the old tee and wrap the bottle. 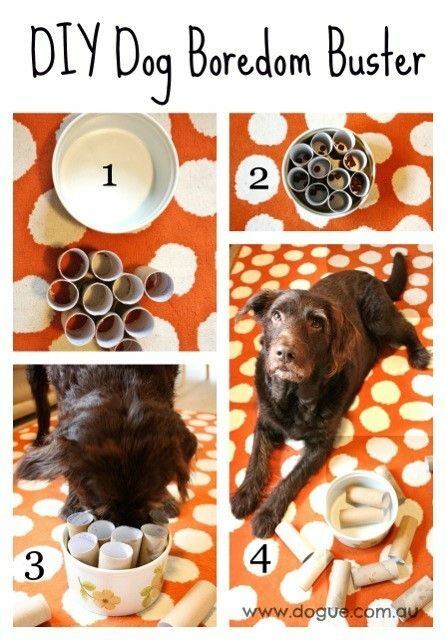 lovely DIY toy for your puppy! 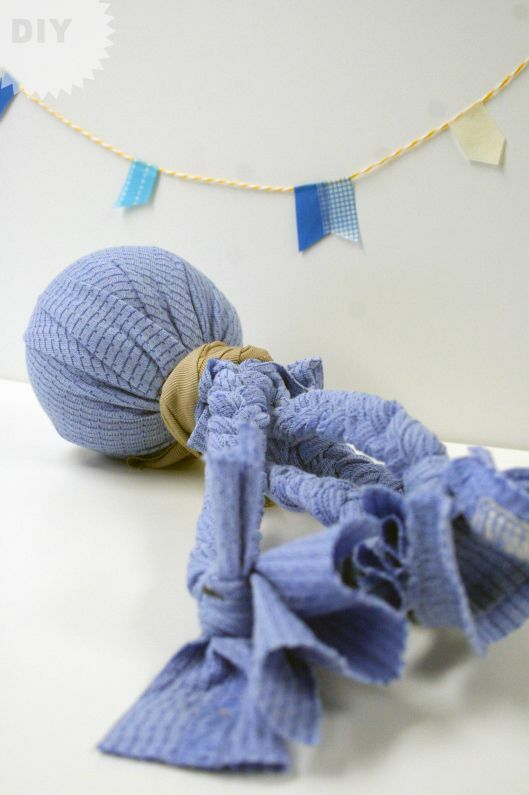 Soak a rope toy in chicken broth and then freeze. 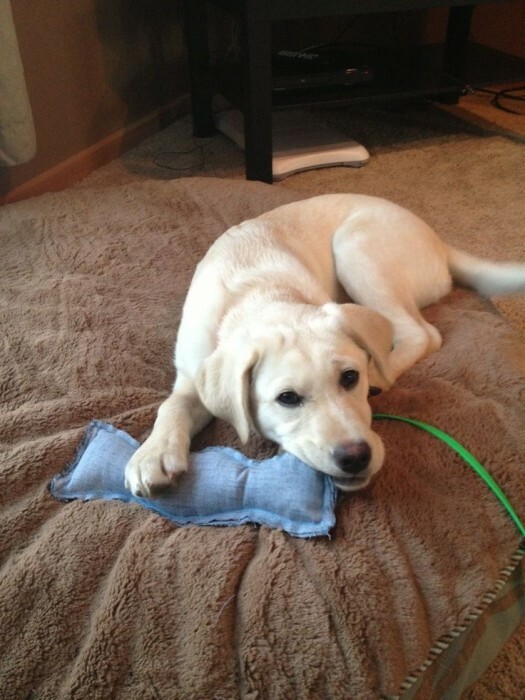 Once frozen, give the toy to your dog for hours of savory chewing. 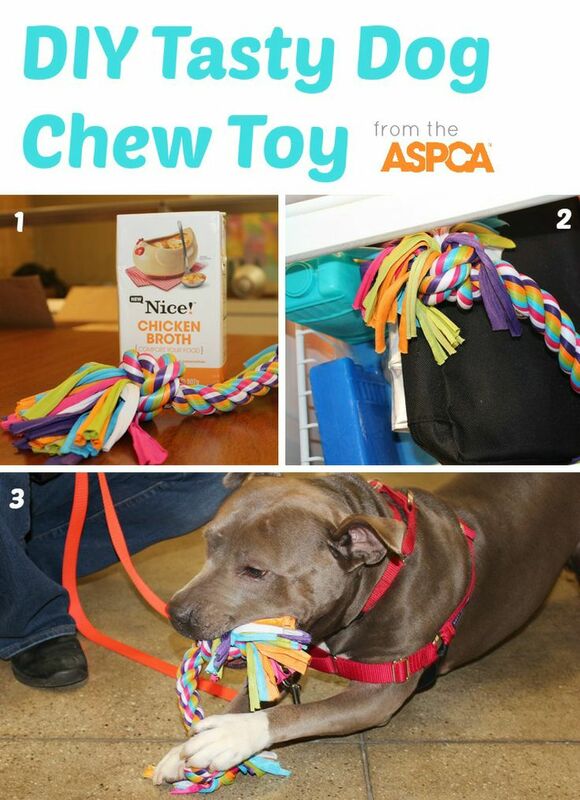 From the ASPCA. 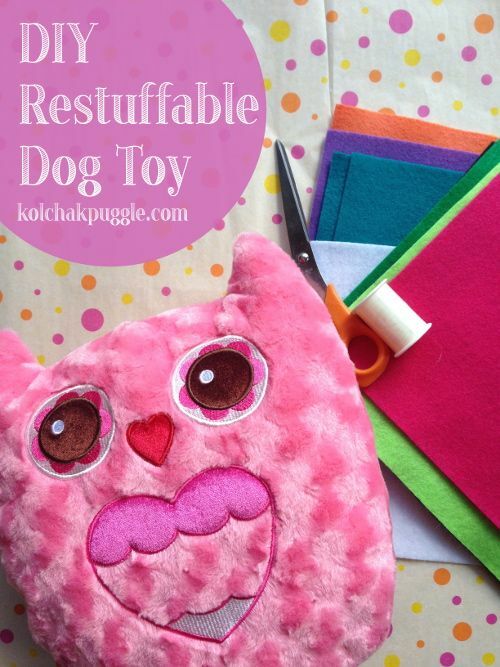 FREE and super easy DIY dog toy! 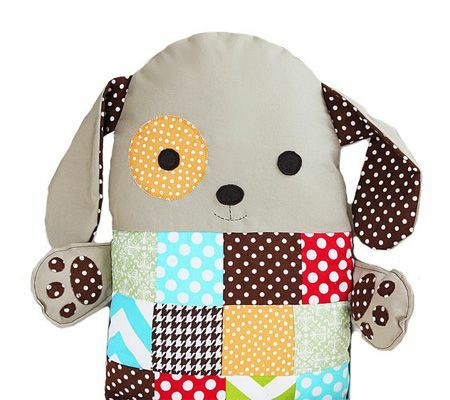 Dogs loved stuffed dog toys, but they destroy them so fast. 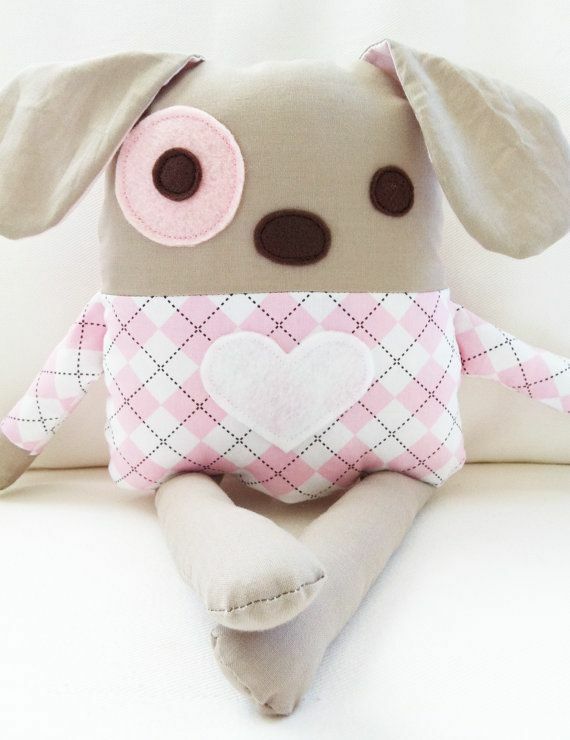 This easy tutorial will show you how to make a DIY Dog that your dog can safely unstuff over and over. 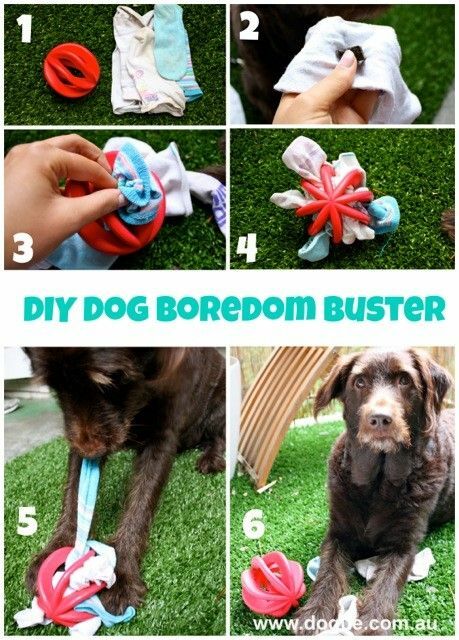 Easy to make DIY Dog Boredom Buster! 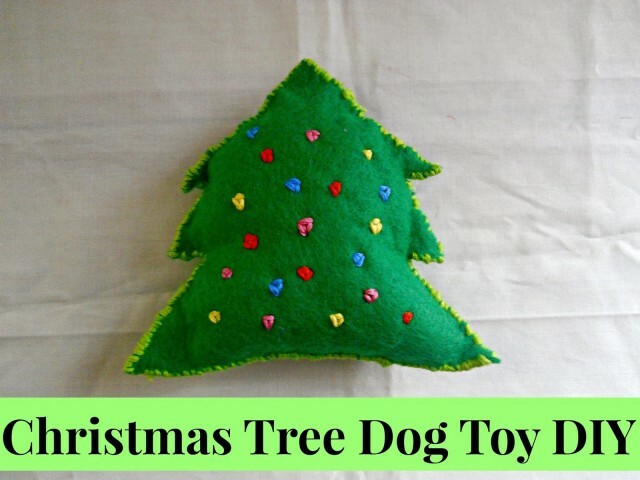 The perfect interactive dog toy to keep Fido entertained. 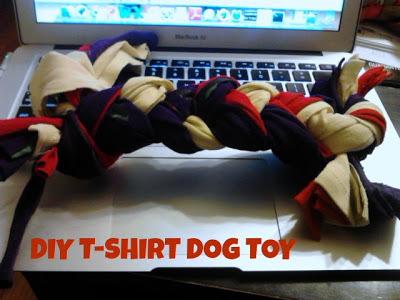 Homemade Bottle Toy For Dogs 1. Get an empty 20-oz. 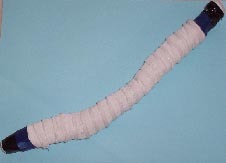 plastic bottle. 2. Put your empty 20-oz. 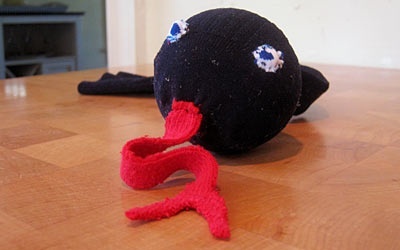 bottle into the sock. 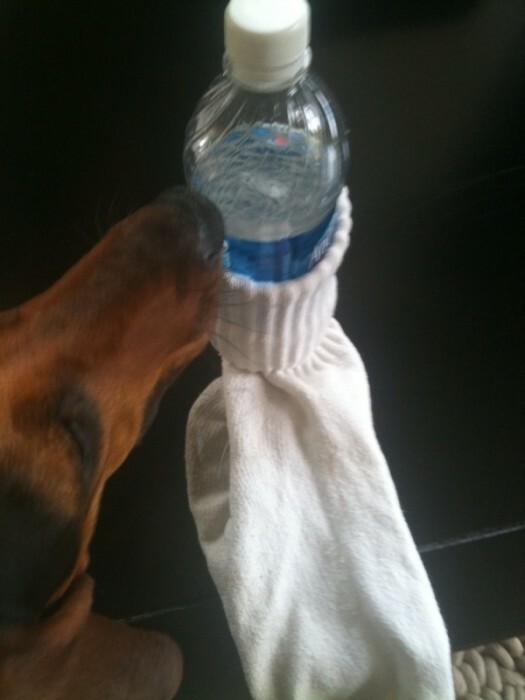 You must use a sock that is at least 5 inches longer than the bottle. 3. 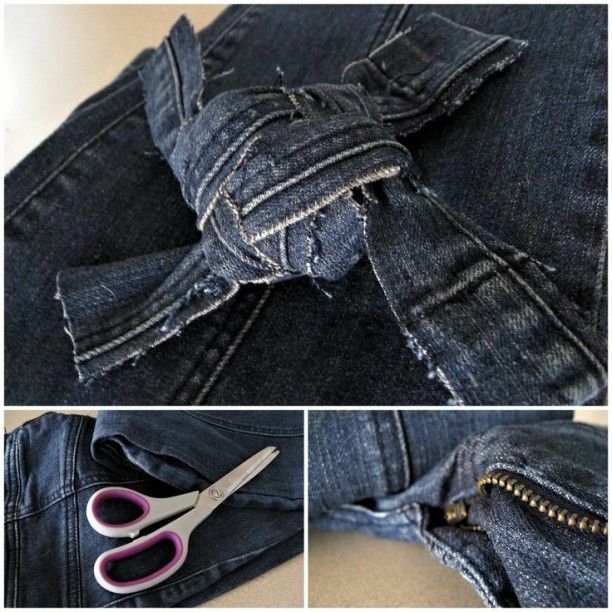 Tie a knot at the end of the sock that is open. 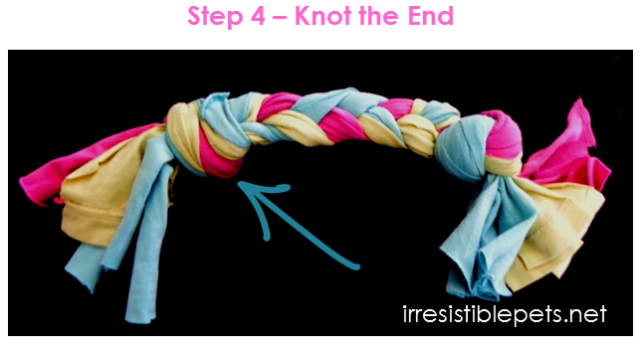 Make sure to tie the knot tight as your dog may chew on it and it could become loose over time. 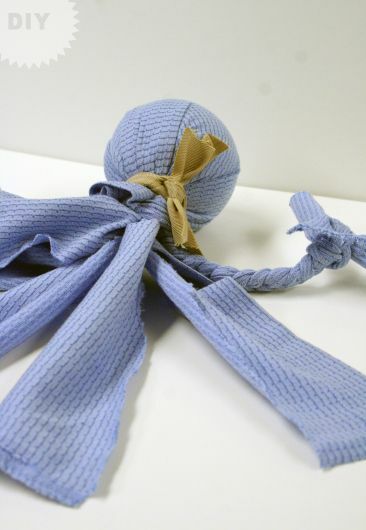 You can easily learn how to make dog toys out of sticks and rags! 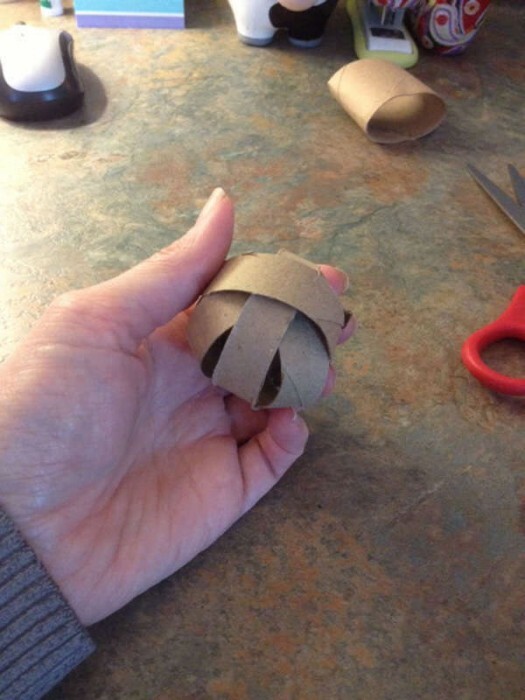 They’ll cost you nothing except a little time to gather materials and put them together.